HITT think tank to cast off again! Berlin (February 1, 2019).HITT 2019 is about to cast off again! Once more in Berlin and with the inspiring seminar ship. On May 19/20, the HospitalityInside Think Tank will set course for the idyllic Havel and the issue of digitalisation for the second time. This time, the title is: "Digitalisation: The new value creator. Learn from others". What can the hotel industry learn from other industries? That's the focus. Once again, non-hoteliers will provide the impetus, and once again there will be plenty of room for in-depth discussions with top-class experts. Today, we present the first two impulse generators to you. With immediate effect, you can submit a binding registration for HITT 2019. "Inspiring, valuable, fertile ..." The HITT premiere in 2018 received lots of praise for its fresh format, the personal networking and open exchange with experts and colleagues in a reasonably small group. After the event, many participants wished for a more intensive look beyond the horizon in order to learn even more from the digital experiences of other industries and companies. At the same time, the previous year's discussion on emerging technologies showed that every step towards automation, robotics and AI can relieve employees, but not replace them. Both inspired HospitalityInside with regard to 2019. The second HITT is more strongly geared towards evaluating the digital possibilities including companies that have already gathered experience in terms of putting digitalisation into action. "It is once more about evaluating what technologies are relevant and what kind of added value they can give a company," says Tim Davis, Managing Director of PACE Dimensions in London, describing the overall goal. Tim, himself a technology and digital expert, will be acting as host and facilitator at the 2nd HITT. PwC's Experience Center is also looking into the new way of thinking digitally. Behind this is a network of PwC experts at more than 40 locations around the globe. It offers integrated digital solutions from strategies to realisation. Together with customers, the multidisciplinary teams work out ideas and solutions. Created in 2015, 40 employees contribute their knowledge at Experience Center Zurich – also to the benefit of the hotel industry. 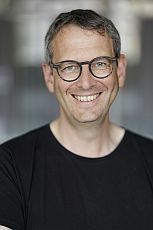 A graduate physicist, Holger Greif had various positions in consultancies and technology companies before joining PwC Switzerland in 2008. When it comes to his digital transformation projects, he not only focuses on major companies, but serves the needs of SMEs as well. Hospitality expert Nicolas Mayer looks back on several years and various operational and development positions at Hyatt, Hilton and Ritz-Carlton in the USA, Germany, Spain and Indonesia. 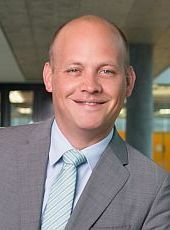 He joined PwC Zurich in 2000, and today also heads the Hospitality Center of Excellence through which he is in permanent contact with both operators as well as owners/investors. Thus, PwC builds a bridge between two worlds: technology/digitalisation and hospitality. The next impulse generator comes from a totally different world – that of creative agencies. The native Canadian has been part of the media and advertising industry since 2008 and has developed digital concepts for traditional companies. Among other things, she contributed to the new brand image of MINI. 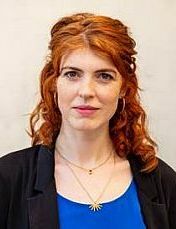 The company's operative aspects, however, were not enough for her: she considered concepts including team building and personality development. Scholz & Friends created her current position for her – "because only the right company culture drives CHANGE," she says. "Digitally versed executives lead differently, digitally motivated employees are automatically focused on customers." Catherine Gaudry knows how to close the gap between top managers and talents. There will be at least one additional speaker/impulse generator at HITT – from the retail industry. More about this shortly. 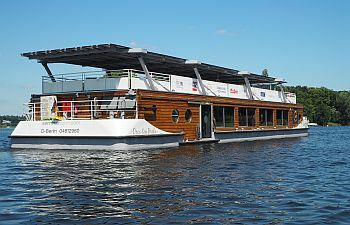 HospitalityInside, the event's organiser, is relocating the start within Berlin from Moabit to Spandau, from where the boat will reach the idyllic Havel River quicker. There, it will again be possible to carry out transfers via the dinghy. 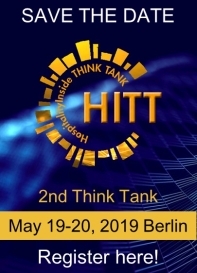 GET-TOGETHER ON SUNDAY: HITT 2019 will kick off with a casual get-together on Sunday evening (May 19) in Berlin-Spandau with initial information and a relaxed exchange with colleagues and experts. Immerse yourself in the HITT community... Participants meet in the Sky Tower Restaurant & Lounge in the Select Hotel Berlin Spiegelturm. Enjoy the panoramic views from the 16th floor on to Spandau Citadel, the historic centre of Spandau, the Grunewald and the Havel lakes, on which we will spend the next day. THINK TANK ON MONDAY: The HITT ship will set sail from Wröhmännerpark in Berlin-Spandau.The "Orca ten Broke" seminar ship leaves Spandau on Monday (May 20) at 9 am and returns at about 6:30 pm. The tour concludes with a dinner together in the immediate vicinity of the landing stage. HITT will be held in English. The video from the premiere. 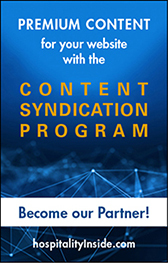 3% bonus for HITT 2018 participants. * for personal hospitalityInside subscriptions. Rates do not include individual arrival/departure and accommodation. Please write to office@hospitalityInside.com. You will then receive the booking documents. The participants of HITT 2018 and all those who have already registered via www.hitt.world will automatically receive the documents. For further questions please contact Michael Willems, Managing Director HospitalityInside, via phone under +49 821 885880-20. Details and permanent updates under www.hitt.world. For the preliminary programme see the attached PDF.